Very helpful and accommodating from start to finish, few communication issues on the office side but I believe these have now been addressed. Had all windows in house replaced, back door removed and kitchen window extended, French doors installed replacing another window and Synergy were able to complete all this during winter months with minimal disruption. Pleased with everything, all your staff have been a credit to you, the windows are delightful. lovely work thank you for looking after my conservatory. the new roof is very warm and comfortable now. Its always a concern having to contact any home improvement company or tradesperson when things start to need repair or replacement . With this firm I was pleasantly surprised. I searched the internet for a reputable firm, rang up and asked for a no obligation quote. We arranged an appointment and a lovely salesman called Mike visited and listened to everything we had to say. No pressure whatsoever and he went away with our exhaustive list of requirements and a further appointment arranged for him to return with some suggestions/designs. The proposal was exactly what we had asked for and it exceeded our hopes. We placed an order at an agreed price for everything. The work started 4 weeks later, the builders were exceptionally Tidy; Polite; Professional and genuinely cared enough to make sure we knew exactly what was happening and when; so that we could arrange our commitments around their requirements. The whole Orangery and Garage Conversion was completed in 18days from start to finish and the result is fantastic. What a lovely and competent company to deal with; a rarity these days im sure! Overall extremely pleased with finished result. HOWEVER it didn't help matters as project overran by 3 days meaning I had to cancel a trip to see family and friends at a 50th in the lakes. I will certainly consider using Synergy again as the quality is as promised but I would absolutely allow extra time on their timescale to prevent any conflict with personal commitments. Builders were very tidy and nice and the conservatory is everything we hoped it would be. Very happy with the price we paid and it was clear Synergy did everything they could to give us value for money. Anthracite Grey Global summer orangery, with infra red heating. Synergy understand the requirements for customer service excellence. Many thanks for everything, Claire and Jerry Watson. Pleased with all aspects of the Synergy Experience. Fitters, Salesman, Director all very professional and the finished job is really nice. Thanks chaps. Will use you again if required. Overall, we are very pleased with the service provided by Synergy. The work has been finished to a very high standard. I feel their aim is to give "good value for money". This company really cares, nothing was too much trouble and everything was done exactly as promised. I can promise this is the best bunch I've ever had on any of my properties and will be using synergy for every job in the future; big thumbs up. Great Guys, Great Price, Will definitely have back next year for next job. They have put up a great conservatory. Many Thanks. Lovely windows, look really good and they seem to be excellent quality. The fitters were the best, would have Synergy Windows again and recommend to everyone. Super helpful-reliable-efficient; really impressed. Got new windows-composite door-replacement conservatory roof. Really nice job done. Very helpful and clean/tidy. The conservatory looks brand new again after you have fitted the new tiled roof. I didn't expect you to go round and clean all of my window frames and glass but I'm so glad you have as it literally looks brand new again. The supalite roof looks better than it did in the brochure. I invited Synergy into my home to ask for ideas and suggestions to help create more space and utilise existing foundations from my old conservatory. From the initial conversation it was clear we were dealing with the right company. Fast forward to my new conservatory that has had the kitchen and dining area opened up into and you can rest assured we are the happiest bunnies you could possibly meet. What a beautiful and well designed improvement to our home and we are already enjoying it more than we imagined. Purchased new windows. Always on the ball, pleasant enough, capable and honest staff, first class products and installation, wonderful finish to our property. So pleased we have chosen Synergy Windows. Everything has been brilliant from start to finish. Our Sun Room is terrific, couldn't of asked for any better from you, many thanks. Professional, courteous, informative and caring throughout. Mike the salesman was excellent, he couldn't do enough to get it right for us throughout. In fact everybody we have met are helpful and seem prepared to try and make a difference for us and our new conservatory which by the way is perfect. I would certainly recommend you Synergy for any work. I enquired for a new back door and some double glazed windows. It has made a lovely difference to keeping the house warm and I'm sure this will reduce my heating costs. The workers were very tidy and polite and worked hard. I would just say I have asked for extra keys for the back door for my family but they still have not arrived yet and Ive been waiting nearly a week. TOTALLY IMPRESSED!! Very happy. Everybody at Synergy has been lovely and the work is a very high standard. Warmcore BiFolding Doors fitted and working efficiently. New GRP flat roof took a little longer than anticipated due to weather delays but that cant helped in our mighty but wet lands. Excellent job-wife and I very pleased-fitters ate all my biscuits though haha, thanks Derek!! Lovely work, 3 windows and a composite door fitted in 1 day with no issues, will definitely use again or pass number on to any one who needs windows or doors. Thank you Synergy, I've just had an insulated tiled roof installed on my conservatory and it looks wonderful. Very happy with the job done and I have been impressed with your staff from start to finish. Our windows and doors look fantastic and our property has been transformed. The Synergy team were excellent, offering a very personalised service, taking care to minimise disruption and ensure we were completely satisfied with our purchase. Friends and neighbours have given us so much positive feedback, confirming for us that choosing Synergy was the right decision. Fantastic install. The quality of the windows was brilliant and the guys also installed to a very high standard. Great value for money. Excellent job done. Fitters were very professional and cleaned up after themselves. Would definitely recommend and will use company again. First to respond and arrange meeting. Quoted there and then with full explanation. Excellent experince. Thank you! Right from the start we were impressed with Synergy Windows. The salesman explained everything in detail and wasnt harrasing us for a instant decision. We eventually went with Synergy Windows and were impressed with the workmen. They were really polite and ready to help and came on time every day. They finished the job early which meant we could go on holiday without any worries. Thank you. Our old conservatory was becoming a problem, but Synergy brought it back to life. We had a solid roof put on and all the glass was replaced. It now looks like a extension and and feels warm and cosy. The recent weather would normally mean we avoided using the conservatory, but now I can see us using it every day of the year. Price was supringly good as well. Certainly not as high as we expected. We had recieved a number of quotes for our two bay windows, and must say that we were really impressed with Synergy Windows. No hard sell, just a great job. The installers were very tidy and they even cleaned our front door and windows before they left. Excellent set of windows which we really love. The guys were very professional and a thank you to Martin for sorting out those last minutes handle changes. It looks perfect! I was very satisfied with all aspects of the replacement of my conservatory roof, from the preliminary advice to the finished product. All of Synergy Windows personnel were very professional and proficient. Everything was carried out as per the project schedule. You know the old joke about an honest double glazing salesman? Well forget it, they really do exist. Thank you Gary for all your patience an help, Martin for all the follow up work and helpful after-service and the team who erected my conservatory. You made a potentially very disruptive process into a minimum fuss, maximum efficiency job. I must say I was already confident in Synergy's service after their fitting of my double glazing before we embarked on the conservatory. I wasn't disappointed, I just love the finished product. I'm so pleased with my new front door provided by Synergy, I opted for a composite door with two full length side panels and it looks amazing. The quality is fantastic and the installation was done quickly and very efficiently. I will recommend Synergy to anyone looking to get work like this done. Mr Walker had a large decking area at the back of his house, which he wanted to open up the area and let more light into the back room. Synergy Windows design and built a large set of sliding patio doors, which were then installed by our own inhouse team. The sliding patio doors now provide a fantastic view of the garden for all the family to enjoy. We looked at several different door companies and decided to booked a home visit with synergy to discuss our options. Our salesman, Gary, was fantastic. No pushy sales, he let the product speak for itself. Armed with brochures we had a fantastic range to choose from. Gary even managed to fix the problematic lock on our door so we could still use it while waiting for the new one. Once the door was ordered it was ready in 2 weeks and fitted a couple of days later. The fitters were punctual, friendly and provided a great finish to the door. We're delighted with service we received and wouldn't hesitate to use this company again. Big thank you to Gary and the synergy team. After a great install earlier in the year, Mr H asked Synergy to install a number of windows, doors and French Doors to the property. Made in beautiful Irish Oak veneer, this high quality finish gives you all the beauty of Irish Oak, with none of the hassles associated with wood finishes.The customer was over the moon with the quality of the install, as were we! Great job by Synergy Windows. They installed to a high standard and I was pleased with the end result. Conservatory converted to sun room with supalite roof. My main concern when placing an order was timeliness and quality of work. Synergy provided me an excellent overall experience. Work commenced as planned, workers were polite, helpful and extremely tidy making sure that I had no clearing around to do on an evening. Any queries I had were dealt with straight away and the quality of workmanship is outstanding. I could be happier with the end result and would be more than happy to recommend them. I would certainly use Synergy again in the future. Big thank you to Derek and Jack. Repair of broken double glassed unit. I live in Belarus and had to call to get a window repaired in Darlington, I found the staff very friendly and positive. Yes, they thought it may have been a windup - but no after a E mail check we started to confirm what I wanted to do and they were the most helpful people that I have met in this business for a long long time. Because of the situation with the broken window they acted immediately, confirmed details via internet, and the job was completed on the same day. I could not ask for better service. especially as I live outside the UK. It was confirmed the standard of workmanship was very high, and was completed on the 10th March 2015. The client currently runs a very busy kennels, based in Enfield and they were looking to redevelop and expand the site. 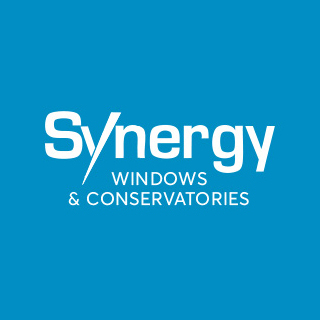 Synergy Windows were asked to survey and install over 200 windows and doors (all of which had to be made in a specific colour). Synergy Windows organised the fabrication, delivery and installation of the entire project, which was completed without any problems. The customer was hugely impressed the results. The site is currently being landscaped and should be soon fully operational. The fitters did an excellent job. The only reason I didn't give 5 stars is due to lack of communication sometimes. The customer wanted all of their old windows and door removed, with new thermally efficient windows and doors installed as their replacement. Synergy installed A Rated windows throughout the house (which were fabricated in our own workshop). They were installed by our FENSA approved inhouse installation team. We then installed some composite doors (replacements for UPVC doors) which provided extra security and insulation to the home. A beautiful finish for some great customers. Company did a bow conversion and the end result was really really good. Love it. Only a single door but a good job no less. Keep up the good work! A high quality installation by a quality company. The conservatory looks good and adds value. Synergy Windows are very good at what they do and my new bay windows have really enhanced the beauty of my house. Now my neighbours want theirs done! We had our entire house done by Synergy and have also had solar panels installed by them. Very impressive. Good local company that listen. We only had 2 windows installed but they were very professional about it. Thank you. Beautiful looking doors that will see us through many a winter. Our conservatory is a real blessing. Synergy did a great job and the family are now enjoying it every day. My daughters both love it. Loving our conservatory and Synergy were kind enough to upgrade our glass to A rated, which now means that the conservatory will be used all year round. Beautifully installed, with Georgian bar. Synergy were as good as they said they were. Would defo use again if the opportunity arose. Just 2 windows but they did a professional job. And they took away all the old windows and the rubbish, leaving the side of the house tidy. I am hoping to have the rest of the windows done next year. Fingers crossed! You installed a great set of french doors which the family love. Good quality and really strong. Had our entire house done. Did a good job. Very impressed. We've used Synergy a number of times over the years for our rental properties and we've always found them to be very trustworthy and professional. Synergy helped us every step of the way with our conservatory. They helped with the planning, getting permission off the council and also the building work. I would not hesitate to recommend them to anybody. A reliable company that gave us lots of value for money, I was impressed with the finishing, and they actually cleaned every single piece glass after it was installed. We had our entire house done by Synergy windows and its made a massive difference. The profile that they use is sculptured and sturdy and the house is nice and warm. Very impressed with our porch. Looks wonderful and has made our home warmer! Great job on my bay windows. Excellent sales and customer service. I have recommended to all my family and friends. Not only did Synergy do a good job, but they resolved any issues without a fuss. Nice to see a window company that cares about customer service and its customers. Top quality doors in our kitchen. Well made and sturdy. The quality of our conservatory is 2nd to none. The pricing offered us huge value for money (compared to the 'nationals' who were quoting crazy prices) and they finished off the interior to a spec we like. We live in a old building with lots of restriction on what we can do. You took care of the council paperwork for me and I am really grateful. The quality of the windows was top notch. Great windows by a great company. Thank you Synergy! We needed some energy efficient sash windows, which were installed to a very high standard by Synergy. We are very happy. Great set of french doors. Wife and I loved the fact they actually built them in their factory in Darlington (proper handmade doors). These will last for decades! Really enjoyed dealing with Synergy Windows. No hard sell and they were really good with their pricing (none of that guff about discounts). A straightforward company who do a straightforward job. Had my entire house done by Synergy Windows and was very impressed. Very clean and very well organised. Our new door feels so secure and has also stopped letting the draft in. Thank you for a good job Synergy. Beautiful porch which Synergy put up in record time as we were selling our house. Thanks guys. We appreciate everything. Really enjoying our conservatory. Well built and well insulated, Synergy Windows are a top bunch of people. Good value as well, compared to some of the others who came round. Even though it was only a small window for our downstairs toilet, Synergy were very helpful and offered value for money. They also put new seals on our front door. This was much appreciated. Found Synergy Windows to be really good. Thanks for the great looking conservatory lads! We have quite big windows and the lads did a good job. Thanks to Derek and Andy who came back and resolved the issue with my door. Would recommend again. Did a great job on my flat. Also changed all the handles on the windows I didn't change for free! Nice one. We had our entire farmhouse renovated and the results are stunning. The windows and the doors are really nice and the stable door looks gorgeous! Thank you Synergy. When we decided to have a conservatory built, we were overwhelmed with the amount of information available. We had a number of window companies provide us with various quotes, but Synergy Windows took the trouble to hold our hand through the entire process. They dealt with everything, and our conservatory looked wonderful by the time it was finished. No hassle, just workmanship. Thank you. We needed a woodgrain finish on our windows to match the back of the house. Synergy did a great job in matching the colour and the grain pattern. They also did a very good install. I highly recommend them. A friend recommended Synergy Windows and I must say I was very impressed. Installed my windows quickly and without any hassle to myself or my family. Great windows by a thoroughly honest company. Really please! Thanks for the great customer service and to a great install. I will be recommending you to all my friends! We had a huge number of windows with lots of lead work. Synergy were meticulous in getting the designs to match our originals and the end result was A-Rated windows that kept to the original style of our house. An excellent job. Really enjoying our Lean To conservatory. Thanks to Steve the MD for sorting out the polycarb roof, which saved us loads of money. I am very grateful. A great job by a great company. Windows were fitted to a high standard. Thank you. We had several prices for the replacement of the fascia, soffit and guttering and everywhere we went the cost seemed to be horrendous. Thankfully Synergy Windows came to our rescue, with a great price and a great job. No worries! My husband and I really love the new porch, which Synergy made for us and also installed. They were helpful at every stage and our home looks even more welcoming. Thanks to Derek and Steve. Fantastic door and a great set of windows. Thanks for all your efforts guys! You did a great job. We upgraded our windows as the old ones were getting falling apart. I found Synergy to be helpful and very professional. They installed the our windows expertly and my parents (who own teh home) are very impressed. Many thanks. When I was looking for a conservatory, I wanted quality and value for money. Synergy were really helpful at every stage, even helping to do some minor repairs on my old windows (which wasn't even installed by them!). As a retired pensioner I appreciate the work and effort they put in to making my home beautiful. Thank you. I will certainly be recommending you to my family and friends. Our house has some elaborate lead designs which we were keen to maintain. Synergy Windows replicated everything with A-Rated glass and the result is a house that is warmer, without any noticeable difference from the outside. Thank you Synergy. I was refurbishing a house for a customer and Synergy Windows were really helpful. They surveyed the property and supplied me with some really high quality windows that had a cream foil. And they delivered it all to site for me. Thanks lads! Synergy Windows installed our windows and doors and we were really impressed with the quality of their workmanship. Our old windows were disposed of properly and the new windows look beautiful here at Birks Farm. We loved the windows so much, we decided to have both the main house and the cottages done as well. Thank you Synergy Windows! It was great to finally meet a company which looks after its customers and does a brill job at installing their windows. Thank you Synergy Windows! Fantastic install guys. They finished last week, well ahead of schedule. Very professional and did everything they could to help me. I will be certainly be recommending to family and friends. Synergy Windows did a great job installing my windows and doors. The workmanship was very professional and the installers were always on time. They never left any litter and cleaned up after themselves, and the finish was beautiful. Thanks guys!